I’m Coach Aaron, creator of Commando Boxing and the How to Box System. 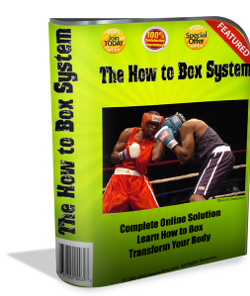 If you’re new to the world of boxing and online boxing training, this page is for you! It contains the information you need to get up to speed quickly and to start learning how to box from wherever you are! Anyone can learn how to box. If you have two fists and the desire then all you need to learn how to box and build a boxer's body is a proven, self-guided, step-by-step system that can show you the techniques and keep you interested and motivated in a progressive training plan. If you have that desire - you can learn how to punch, defend, move and train like a boxer...for fitness, self defense or competition. Is it Even Possible to Learn How to Box Online? In other words - if you want to learn how to box - you're in the right place. What Exactly is Commando Boxing? I built and run this club to give everyone who wants it - a chance to learn how to box. I've spent parts of my life in places where there is no club and no trainer trying to fumble through what boxing techniques to focus on and when to fit them into my training. I would have killed for an online boxing club and coach that could have mentored me during those times - so I hope you find the site useful. Commando Boxing, as good as it is, is NOT a substitute for a real life boxing trainer. In almost every case (unless the trainer is a complete dud) a real-life trainer will help you learn faster and push you harder than I could ever do with Commando Boxing. If you have the option - use Commando Boxing to supplement training you can get at your local boxing club - not replace it (unless the quality of the training really is that bad...). I can't turn you into a world champion online (and nobody else can either). Learning how to box is NOT always easy and it takes work. Like anything worthwhile in life, you have to put in the effort to learn how to box and improve your conditioning. There are many sites out there promising shortcuts and tricks and that's because they're trying to make money from false hopes. I'm here to tell you the truth. Boxing is the most physically demanding sport on the planet. The workouts are intense and challenging. I'll do my best to mentor and guide you but I can't force you to take action; that's up to you. Learning how to box does NOT happen overnight. I've been at this for more than twenty years and I'm still learning. I do not preach miracle transformations or promise it will always be easy. It hasn't been easy for me - but it has been totally worthwhile. Learning how to box is NOT impossible. I'm living proof. Thousands of new boxers that have gone through this system before you are living proof. Bet on yourself and you'll be living proof as well. Living a boxing lifestyle is possible and I want you to experience it too. 7 Things New Boxers Want to Know: These seven questions have come up over and over again - so it's best to address them right out of the gate. What to Expect When Joining a Boxing Gym: Because I really do want you to join one at some point in the future. I'll help you build up the confidence and skills you need to succeed when you do. Beginner's Guide to Boxing Equipment and Boxing Gear: You don't need much, but you do need some gear to learn how to box without hurting yourself. Learn How to Box with Self-Guided Boxing Training: Provides a very detailed description of how Commando Boxing and the How to Box System is structured. It is the entry point to become a club member. Fans of Commando Boxing have told me how helpful these posts were in the beginning and they've been shared thousands of times. If you think they're useful I'd encourage you to share them as well and subscribe to my newsletter so you don't miss out on new content. Your level of fitness and conditioning is a super important aspect of becoming a boxer so Commando Boxing makes it simple for you to get in incredible shape while learning boxing skills using progressive 12-week boxing training plans designed for all skill levels. Commando Boxing uses a classification system based on the colors of hand wraps much like karate or jiujitsu uses belts. You'll start as a White Wrap and begin with Level 1 - Phase 1 and earn different color wraps with each training plan you complete. Note: Only Level 1 (12 weeks of training) is currently available. I'm revising the rest of the levels and they'll be online shortly. The only equipment required is a jump rope. It allows you to test the How to Box System without spending extra on boxing equipment - but that doesn't mean you won't learn boxing techniques. It is super detailed and the perfect place to start for those new to boxing. I assume you know nothing and take you through it all step-by-step. You cannot fail if you follow the system. You can expect to lose about 2% body fat, improve your strength, speed, and nutritional profile. You can have access to White Wraps - Level 1 (and all the other levels) in about 30 seconds by becoming a lifetime club member for the affordable one-time membership fee. You get access to higher levels of training after successfully completing the plan before it. Before I let you go so you can read take action, I’d like to kindly invite you to subscribe to my newsletter, which is full of exclusive content that you cannot find here on the blog. I use email to give you awesome info, help keep your training on track and even engage with you at times - I like to get to know the people who use Commando Boxing. You can unsubscribe at any time, but I promise you will not be disappointed. As a thank you, you’ll get instant access to my very popular Intro to Boxing eBook and online boxing training. It's a 67 page manual, online lessons and training plan that gives you a head start with your boxing education. I guarantee you're going to be hooked on boxing after trying your first real boxing workout. That's exactly what happened to me when I started. It's been used by over 6,000 new boxers and it's 100% free - no strings attached.